The WHO is currently in the process of revising its International Statistical Classification of Diseases and Related Health Problems (ICD), which standardises health-related statistical data collection for countries around the world, and is updated around once every decade. This revision process was discussed by member states at the WHO Executive Board meeting on 30 January. A webcast of the meeting is available here. The Board met from 24 January to 1 February, and finished work early today. At the meeting, member states were invited to note the report on the 11th revision of the ICD [pdf] and consider the draft resolution contained in paragraph 53 of the report. The Board took note of the report, and the secretariat requested member states to send proposals of amendments to be included in a conference paper. The proposed revisions to the ICD will require extensive consultation with member states, which at the meeting recommended between 3 to 5 years of consultation before adopting the new system. ICD-11 will be presented at the 2019 World Health Assembly, and is currently planned to go into effect on 1 January 2022. The dates of the 2019 Health Assembly were decided today, from 20-28 May. The latest version of the classification, ICD-11, will be fully electronic for improved accessibility. It will include a range of updates in the classification of diseases and health problems, and for the first time will include gaming disorder. Gaming disorder is defined in ICD-11 as “a pattern of gaming behavior (‘digital-gaming’ or ‘video-gaming’) characterized by impaired control over gaming, increasing priority given to gaming over other activities to the extent that gaming takes precedence over other interests and daily activities, and continuation or escalation of gaming despite the occurrence of negative consequences,” a WHO Q&A on gaming disorder explains. 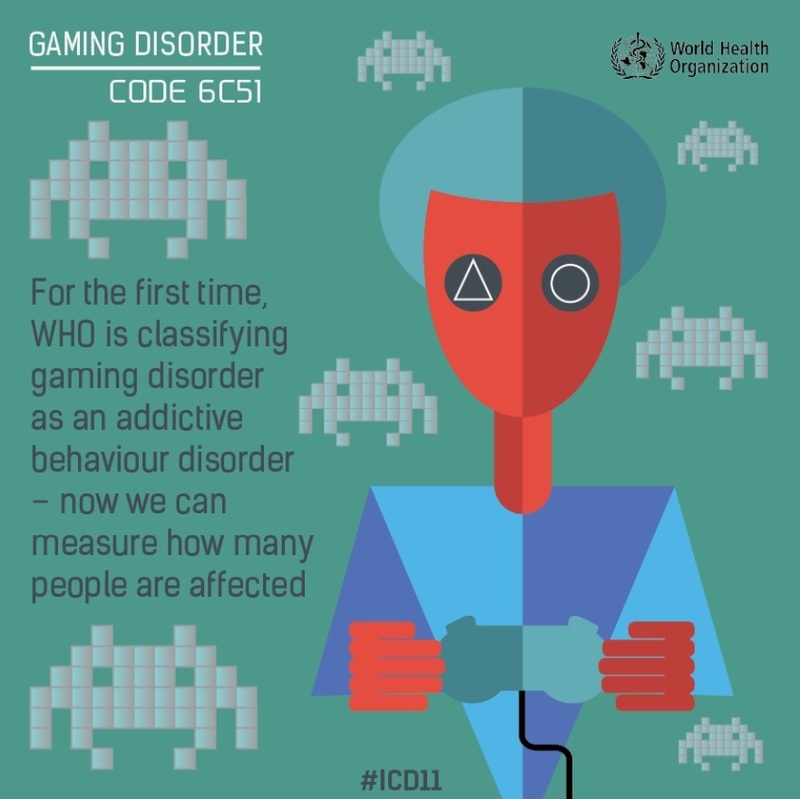 The WHO decision to include gaming disorder in ICD-11 is based “on reviews of available evidence and reflects a consensus of experts from different disciplines and geographical regions that were involved in the process of technical consultations undertaken by WHO in the process of ICD-11 development,” the Q&A explained. The World Federation for Mental Health, the International Organisation of Good Templars (IOGT International) and the International Society on Biomedical Research on Alcoholism (ISBRA) all “strongly supported” the inclusion of gaming disorder into the latest version of the ICD at the meeting. “We note the wide-ranging support for the inclusion of gaming and online gambling disorder into ICD-11 by national and international professional organisations working in the field of prevention, diagnosis and treatment of mental health conditions,” IOGT International said. This objection, they clarified, is not based on a disagreement that gaming disorder could be a unique and clinically recognisable disorder, but that there is not enough evidence yet to make this determination. Image Credits: World Health Organization.